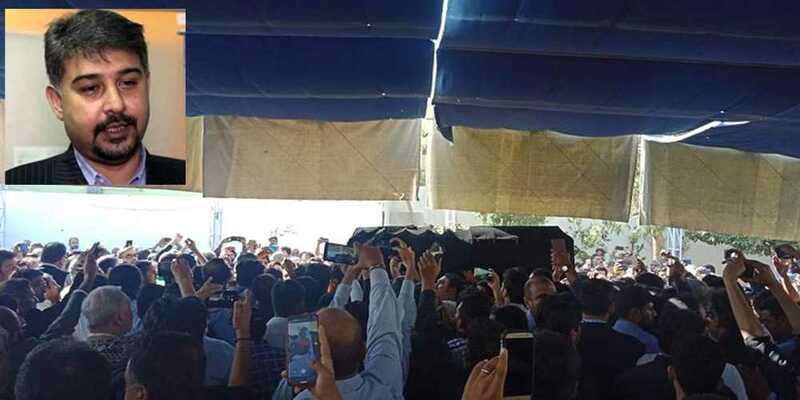 Politician and former Muttahida Qaumi Movement-Pakistan lawmaker Ali Raza Abidi, who was gunned down by unknown assailants on Tuesday, was laid to rest in Karachi on Wednesday. His funeral prayers were offered after Zuhr at Imam Bargah Yasrab in DHA today. Allama Hasan Zafar Naqvi led the funeral prayers of the slain political leader. Farooq Sattar, Syed Sardar Ahmed, Salman Baloch, Deputy Mayor Arshad Vohra were among the prominent politicians who joined in the prayers. Sindh Governor Imran Ismail and Federal Minister for Maritime Affairs Ali Zaidi were also present.